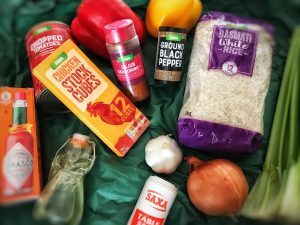 Now as most of you probably know by now, I love food and love discovering new additions to my kitchen so when Weight Watchers set me a new food challenge recently, I was excited to get stuck in and give it a go. The question…. 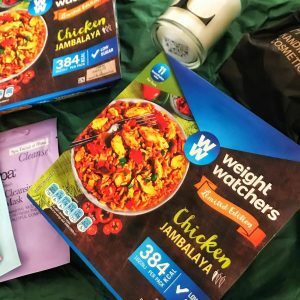 would I rather spend a Friday evening cooking a Weight Watchers Chicken Jambalaya from scratch or, would I rather have one of the new Limited Edition Weight Watchers ready meals, and, in the time I would have spent cooking, have a bath, chill out and maybe pop on a face mask instead. Now, as a person who loves to cook I thought this was quite an interesting challenge as I don’t see time spent in the kitchen as arduous, in fact, I enjoy it and see the cooking process in itself as relaxing however, I really don’t get to much time to actually lie back in the bath, have a soak and pamper so the opportunity to do so really does appeal to me! 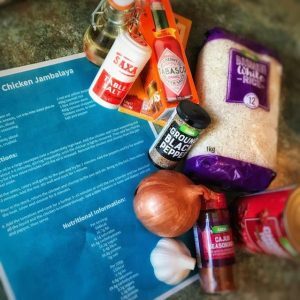 Night one saw me cooking a Weight Watchers Chicken Jambalaya recipe from scratch with all the fresh ingredients provided to me (a picture of the recipe is below – please note, this recipe is different to my own Chicken and Chorizo Jambalaya recipe). The whole process took around half an hour and as usual, I popped on the radio and poured myself a cheeky glass of wine while the recipe was bubbling away. The result was lovely, the chicken was lovely and moist, the chorizo gave the whole dish a nice smoky, indulgent flavour and the portion size was great, really filling. 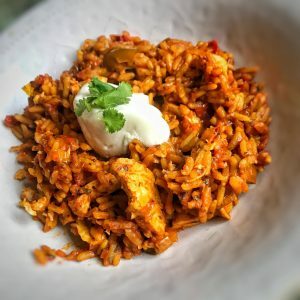 I made a few tweaks to the recipe to suit my personal taste (read – made it a lot more spicy) adding fresh coriander through the dish and finishing with a little light soured cream however I would certainly make this again. Nutritionally, the dish was 648kals per serving when made according to the recipe which is quite high for one meal however I reduced the rice portion to 60g dried per person and omitted the oil so the whole meal came to 11sp – the same number of points as the ready meal. The portion size was still more than enough and I was very satisfied afterwards. The big question was, would the ready meal come anywhere close to it? Being a firm fan of cooking from scratch, a microwave meal is not something I would usually pick up as a meal option to tuck into on a Friday night. Historically microwave meals have had such a bad reputation in terms of taste and nutrition; they are something I’ve never felt the need to explore too much. However with the rise of some of these ‘posh’ ready meals I know they are becoming quite popular and much better for you (I’m often told of how amazing the two can dine for £9.99 is in terms of taste and value for money!). 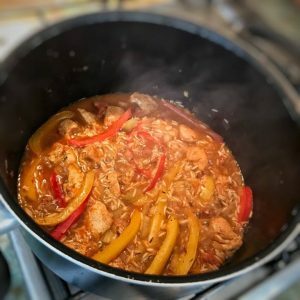 So when I was asked to try this ready meal, I was a little hesitant at first however, having then had a good look at the ingredients list on the back, I immediately felt better finding that the meal was only made from ingredients you would find in your own kitchen (so free from any nasty artificial colours, flavours and preservatives ) and it was only 384kals (11sp). A good start. 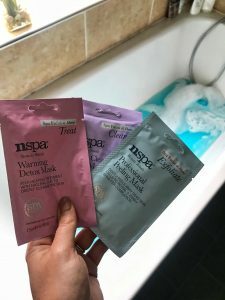 So on I went, popping the meal in the oven for 25 minutes as required and, whilst it was cooking away, I had myself a lovely bath, bath bomb and all and popped the facemask on at the same time (keen multi tasking!). I came out of the bath nice and refreshed to a piping hote meal so I got ready to plate up and dive in. 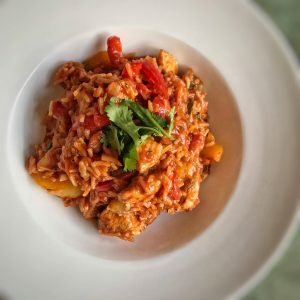 When I first put the jambalaya into a bowl I was pleased to see the portion size was similar to when I cooked the dish from scratch. Again, after I had finished the dish I was nicely full so no worries there. Ready meals often yet a bad rep for leaving you starving afterwards but it was great to see this one didn’t disaapoint. Appearance wise, the meal looked nice and fresh but since it was all a similar colour, I added a tbsp. of low fat soured cream and a little fresh coriander to add some green and interest (as I did with the home cooked one above too!). The smell of the meal was delicious and the texture was actually really good with the rice retaining a nice bite (I was expecting it to go a little like rice pudding in the microwave). And the taste? I have to admit, it was very good. The chicken was still moist, the paprika and Cajun flavours strong and overall I enjoyed the meal. The ready meal version doesn’t have any chorizo in it, which, whilst not too much of a miss taste wise, may account for some of the difference in the total calorie count between the two meals (this one is 384kals vs the fresh dishes 649kals). 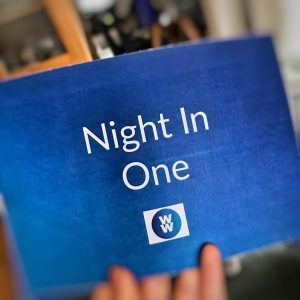 Is it something I would choose to have again on a Friday night in place of a freshly cooked meal? Honestly, probably not but that is simply because I see a Friday night as a great time to get in the kitchen and cook up a storm. Would I have it again full stop? Definitely yes but I see this kind of meal more as a great option to have as a ‘go to’ quick and easy meal if you don’t have enough time to cook in the week and need to dash out. I wouldn’t hesitate buying a few to keep in the freezer as a just in case option and I would feel better knowing I have a low point, tasty and healthy back up if needed. 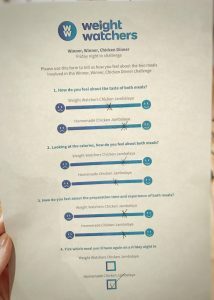 Weight Watchers asked me to complete a little score sheet to rate my experience and I’ve included it below. 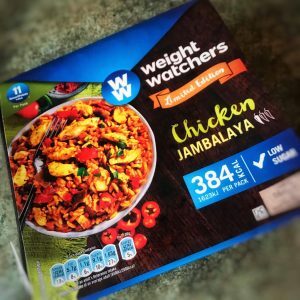 Overall, I preferred the taste of the fresh jambalaya very slightly although both tasted good and, whilst both were the same number of points, I did prefer that the ready meal had significantly less calories, salt and saturated fat. The preparation time of the fresh meal was longer however I don’t mind cooking however I must admit I did very much enjoy the time that the ready meal gave me to indulge in a bit of pampering. Ultimately if I had to choose again for a Friday night, I’d go fresh. 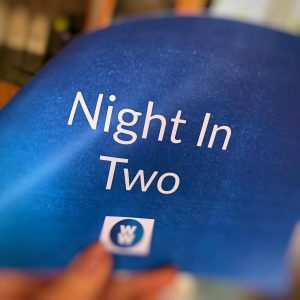 That said, if I had to choose between the two on a week night when I was really pushed for time, I would certainly consider the ready meal, which before this challenge, I certainly wouldn’t have! It really did surprise me in terms of the quality, quantity of meat included and the taste and I was very happy to see it had none of the usual nasties associated with a ready meal. I would certainly consider buying it to keep in as a ‘just incase’ meal. If anyone does fancy trying out this ready meal, its available exclusively at ASDA until the end of October (RRP £2.50). This post was sponsored by Weight Watchers however all opinions given reflect my own thoughts and experience.